WestJet's Fort McMurray to Toronto route cancellation 'disappointing', airport authority says. The Fort McMurray Airport Authority says it's "disappointed" WestJet Airlines plans to end its daily Fort McMurray to Toronto route in the fall. A WestJet spokesperson said that after Oct. 28, the airline will no longer offer the non-stop flight from the northern Alberta city to Toronto because of a drop in bookings and the slow recovery of Alberta's economy. Passengers who have tickets booked for after that date will be rescheduled or refunded. "Part of this is to be attributed to the economic changes that have happened in Alberta," WestJet's spokesperson Lauren Stewart said. "Ultimately it comes down to consumer demand. We just weren't seeing strong enough demand on this route. "We appreciate and understand this is unfortunate news for the community." The daily flight departed Fort McMurray at 12:25 a.m. and arrived in Toronto at 6 a.m. ET. The Calgary-based airline has operated the service intermittently since 2009, and it will continue to offer 11 daily flights from Fort McMurray to its Calgary and Edmonton hubs. The route reduction was one of many announced by Canada's second largest airline on Wednesday. 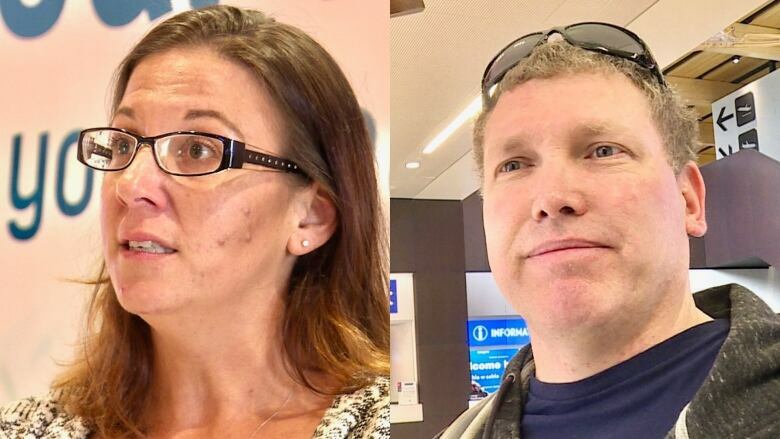 The cancellation is a blow to the Fort McMurray Airport Authority and its aim of attracting passengers who drive to Edmonton or Calgary instead of using the local airport. Statistics show the number of total annual passengers at the airport have declined from more than 1.3 million in 2014 to 713,000 in 2017. In 2017, both WestJet and Air Canada also ended their direct flights to Vancouver. "The Fort McMurray Airport Authority is disappointed in this decision by WestJet," CEO Roelof-Jan Steenstra said in a statement. "We are committed to working with our airline partners to provide new routes that meet the demands of our market and provide our passengers with an excellent travel experience." Bryce Kumka, president of the Fort McMurray Chamber of Commerce, said WestJet's decision to pull its Toronto route is "definitely concerning." Passengers moving through the local airport Thursday said they're disappointed to have fewer options. Natalie Macdonald said she depends on the Toronto route to visit family in Atlantic Canada. "I am going to miss it for twice a year when I go to Newfoundland," Macdonald said. Macdonald was surprised to learn the route was being cancelled because it was usually full when she flew. Andrew Tebbutt, who was headed to British Columbia, said he understands WestJet's decision because he's been on flights with empty seats. "Just the downturn in the economy. Less people flying," Tebbutt said. In the meantime, the airport authority encourages passengers to use well-established flight connections with Edmonton and Calgary. Air Canada, the authority said, still maintains a daily flight to Toronto.